(7) unless a trustee is serving in the case, continue to perform the obligations required of the administrator (as defined in section 3 of the Employee Retirement Income Security Act of 1974) of an employee benefit plan if at the time of the commencement of the case the debtor (or any entity designated by the debtor) served as such administrator. If the debtor fails to so act within the 45-day period referred to in paragraph (6), the stay under section 362(a) is terminated with respect to the personal property of the estate or of the debtor which is affected, such property shall no longer be property of the estate, and the creditor may take whatever action as to such property as is permitted by applicable nonbankruptcy law, unless the court determines on the motion of the trustee filed before the expiration of such 45-day period, and after notice and a hearing, that such property is of consequential value or benefit to the estate, orders appropriate adequate protection of the creditor’s interest, and orders the debtor to deliver any collateral in the debtor’s possession to the trustee. (2) a copy of the debt repayment plan, if any, developed under section 109(h) through the approved nonprofit budget and credit counseling agency referred to in paragraph (1). (c) In addition to meeting the requirements under subsection (a), a debtor shall file with the court a record of any interest that a debtor has in an education individual retirement account (as defined in section 530(b)(1) of the Internal Revenue Code of 1986), an interest in an account in a qualified ABLE program (as defined in section 529A(b) of such Code, or under a qualified State tuition program (as defined in section 529(b)(1) of such Code). 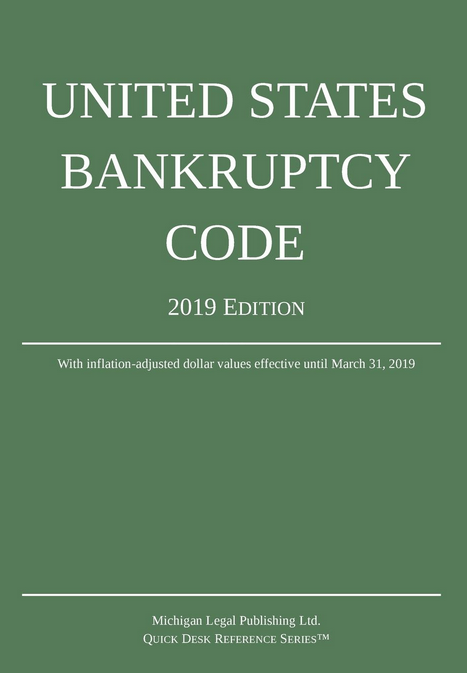 (d) If the debtor fails timely to take the action specified in subsection (a)(6) of this section, or in paragraphs (1) and (2) of section 362(h), with respect to property which a lessor or bailor owns and has leased, rented, or bailed to the debtor or as to which a creditor holds a security interest not otherwise voidable under section 522(f), 544, 545, 547, 548, or 549, nothing in this title shall prevent or limit the operation of a provision in the underlying lease or agreement that has the effect of placing the debtor in default under such lease or agreement by reason of the occurrence, pendency, or existence of a proceeding under this title or the insolvency of the debtor. Nothing in this subsection shall be deemed to justify limiting such a provision in any other circumstance. (1) If the debtor in a case under chapter 7 or 13 is an individual and if a creditor files with the court at any time a request to receive a copy of the petition, schedules, and statement of financial affairs filed by the debtor, then the court shall make such petition, such schedules, and such statement available to such creditor. (ii) at the same time the debtor complies with clause (i), a copy of such return (or if elected under clause (i), such transcript) to any creditor that timely requests such copy. (B) If the debtor fails to comply with clause (i) or (ii) of subparagraph (A), the court shall dismiss the case unless the debtor demonstrates that the failure to so comply is due to circumstances beyond the control of the debtor. (C) If a creditor requests a copy of such tax return or such transcript and if the debtor fails to provide a copy of such tax return or such transcript to such creditor at the time the debtor provides such tax return or such transcript to the trustee, then the court shall dismiss the case unless the debtor demonstrates that the failure to provide a copy of such tax return or such transcript is due to circumstances beyond the control of the debtor. (B) not later than 7 days after such request is filed. a statement, under penalty of perjury, of the income and expenditures of the debtor during the tax year of the debtor most recently concluded before such statement is filed under this paragraph, and of the monthly income of the debtor, that shows how income, expenditures, and monthly income are calculated. (C) the identity of any person who contributed, and the amount contributed, to the household in which the debtor resides. (2) The tax returns, amendments, and statement of income and expenditures described in subsections (e)(2)(A) and (f) shall be available to the United States trustee (or the bankruptcy administrator, if any), the trustee, and any party in interest for inspection and copying, subject to the requirements of section 315(c) of the Bankruptcy Abuse Prevention and Consumer Protection Act of 2005. (2) such other personal identifying information relating to the debtor that establishes the identity of the debtor. (1) Subject to paragraphs (2) and (4) and notwithstanding section 707(a), if an individual debtor in a voluntary case under chapter 7 or 13 fails to file all of the information required under subsection (a)(1) within 45 days after the date of the filing of the petition, the case shall be automatically dismissed effective on the 46th day after the date of the filing of the petition. (2) Subject to paragraph (4) and with respect to a case described in paragraph (1), any party in interest may request the court to enter an order dismissing the case. If requested, the court shall enter an order of dismissal not later than 7 days after such request. (3) Subject to paragraph (4) and upon request of the debtor made within 45 days after the date of the filing of the petition described in paragraph (1), the court may allow the debtor an additional period of not to exceed 45 days to file the information required under subsection (a)(1) if the court finds justification for extending the period for the filing. (4) Notwithstanding any other provision of this subsection, on the motion of the trustee filed before the expiration of the applicable period of time specified in paragraph (1), (2), or (3), and after notice and a hearing, the court may decline to dismiss the case if the court finds that the debtor attempted in good faith to file all the information required by subsection (a)(1)(B)(iv) and that the best interests of creditors would be served by administration of the case. (1) Notwithstanding any other provision of this title, if the debtor fails to file a tax return that becomes due after the commencement of the case or to properly obtain an extension of the due date for filing such return, the taxing authority may request that the court enter an order converting or dismissing the case. (2) If the debtor does not file the required return or obtain the extension referred to in paragraph (1) within 90 days after a request is filed by the taxing authority under that paragraph, the court shall convert or dismiss the case, whichever is in the best interests of creditors and the estate.